Qmmp (Qt-based Multimedia Player) is a feature-rich audio player that supports most popular formats, global hot-keys and CUE sheets. 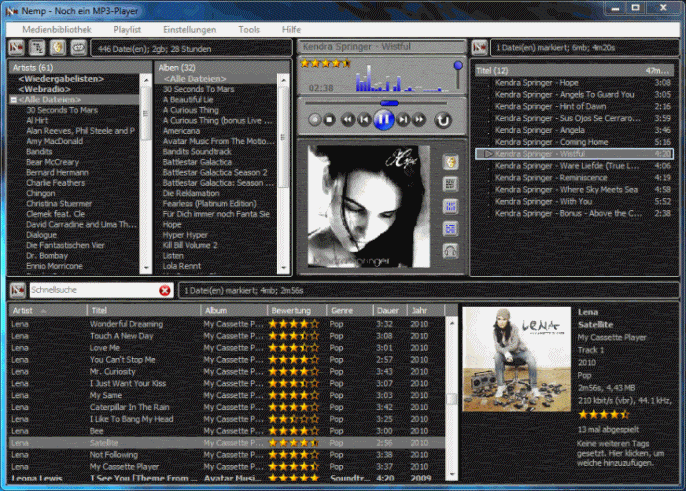 The Winamp-inspired look uses the familiar spectrum analyzer, a 10-band equalizer, playlist, and wide skin support, including Winamp 2.x and XMMS skins. The program supports format conversion, visualization, lyrics, cover art, tray control, CDDB and ReplayGain support, removable device detection and more. Playlist formats include m3u, pls and xspf. Includes a variety of plugins including stereo correction, crossfade, stereo-to-mono and more. The program is cross-platform (FreeBSD, Linux), written in C++ and Qt, and supports 26 world languages. Optionally, you may delete unnecessary language files from translations sub-folder. Nice little player. The website has a page with plugins, but it's slightly misleading. 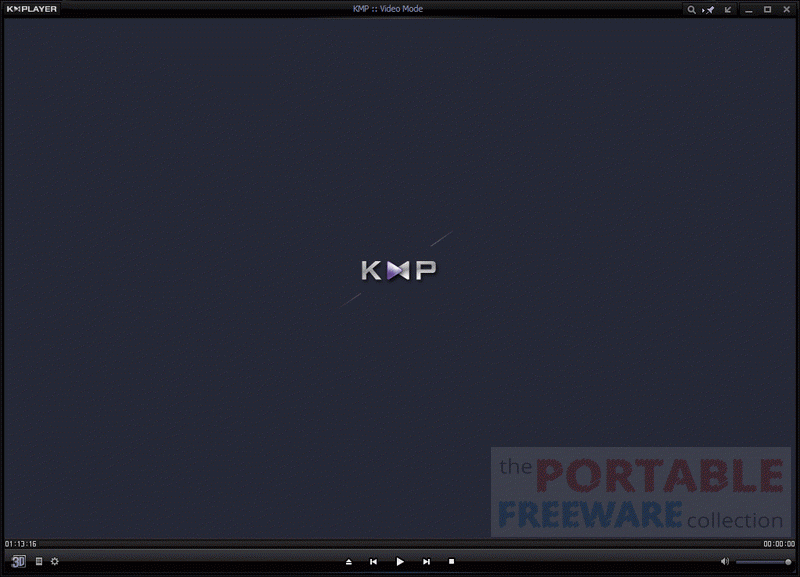 The "Qmmp Plugin Pack" download directs to the player itself, and the others require building from source/installed dependencies. Why do we another music player and that too which looks like WinAMP? 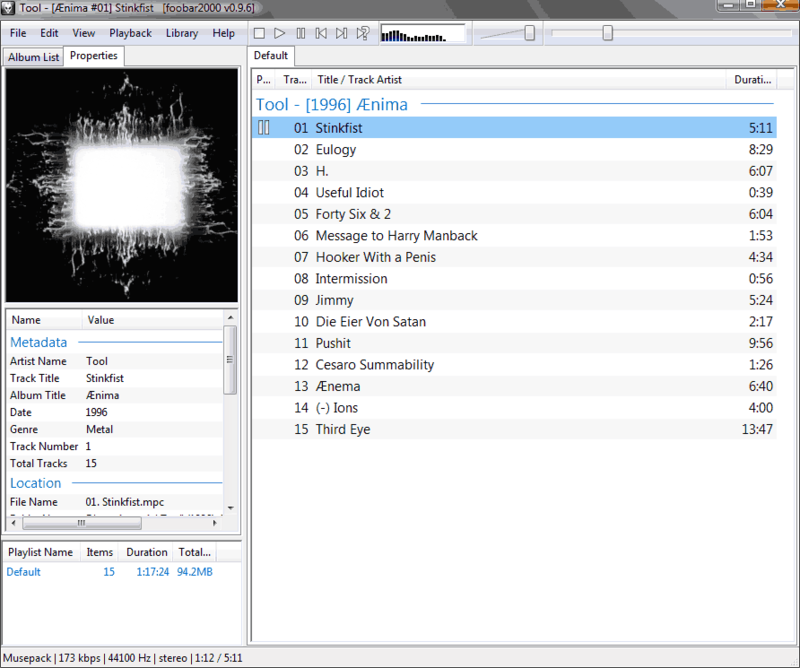 Nemp (Noch Ein Mp3-Player) is an intuitive and easy-to-use audio player that plays most common audio formats. The program features a media library with support for drag-and-drop and tag-cloud organization, as well as audio effects, EQ, coverflow, webradio, a Web server for remote control and much more. Supports streaming of multiple formats and recording and automatic management of MP3 streams. Based on the BASS audio library. How to extract: Download the ZIP package and extract to a folder of your choice. Launch nemp.exe. I like this player a lot. 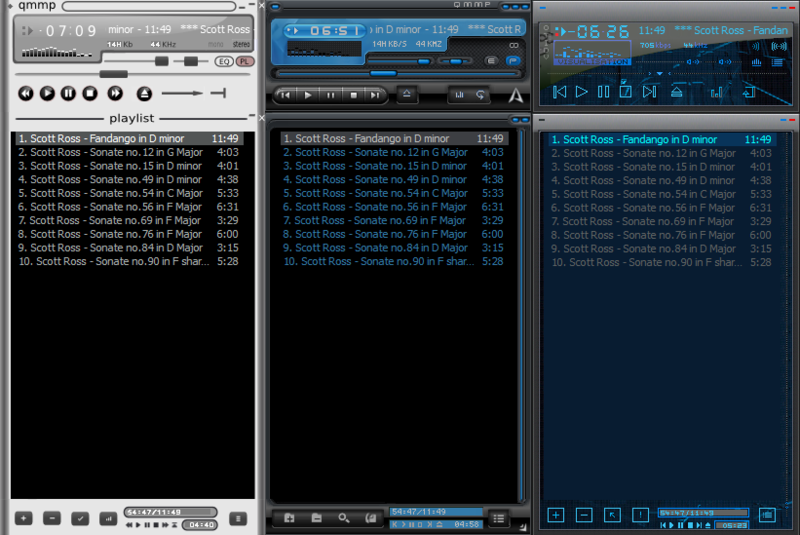 I love that it can be setup to use relative paths for the music folder (I had to edit the config file for this). My only gripe so far is that it will not read the coverart from the ID3 tags... it only looks at the art in the folders.